Designed to meet all service requirements. The EuroCave Pro range enables you to store your wine in the perfect maturation environment and offer the right serving temperatures for red wine, white wine or both. 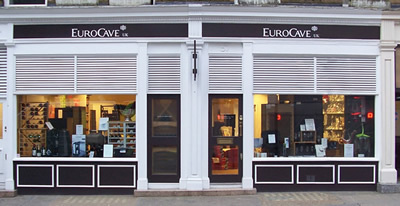 Additionally, EuroCave Pro also offers high quality display solutions and wine preservation products (open bottle / by the glass). Wine served too cold masks flavour and when served too warm, it encourages the evaporation of alcohol, and so confuses the senses. The finer the quality of the wine, the more important the service standard becomes. Nielsen and Wine Intelligence figures have repeatedly shown that wine served correctly, to the highest standards, leads to a trading up in terms of spend by the consumer and repeat business. 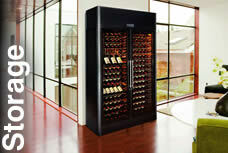 Storage Wine cabinets for maturing and storing. 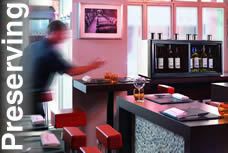 Service Cabinets for service: dual zone, graduated and single temperature. By The Glass : Keep an open bottle ready to serve for longer.